Smart USA is following the example set by its European brethren and offering a rental program for the battery pack in its ForTwo Electric Drive (ED) model. Don’t let the concept confuse you; the battery pack isn’t removable, really. Nor will customers be renting the entire car. Instead, buyers will simply pay a monthly rental fee for the battery pack, which will work essentially like an insurance policy. At any time, even outside of the warranty, should the “rented” battery pack drop below 80-percent efficiency, Smart will replace it free of charge. Smart has not yet set the U.S. monthly battery rental price but in Europe it’s 65 Euros or around $83 for up to 10 years. Smart sees this as an excellent solution to the concerns many potential customers have over EV longevity. In fact, in Europe, where the battery rental program has been on-going for several years, 97-percent of customers opt for rental over buying outright, this according to an Automotive News Europe report. Don’t worry; the rental program isn’t a sneaky way to get more money out of you beyond the purchase price. Smart will drop the purchase price from $30,398 to $23,680 should you choose to rent the battery. 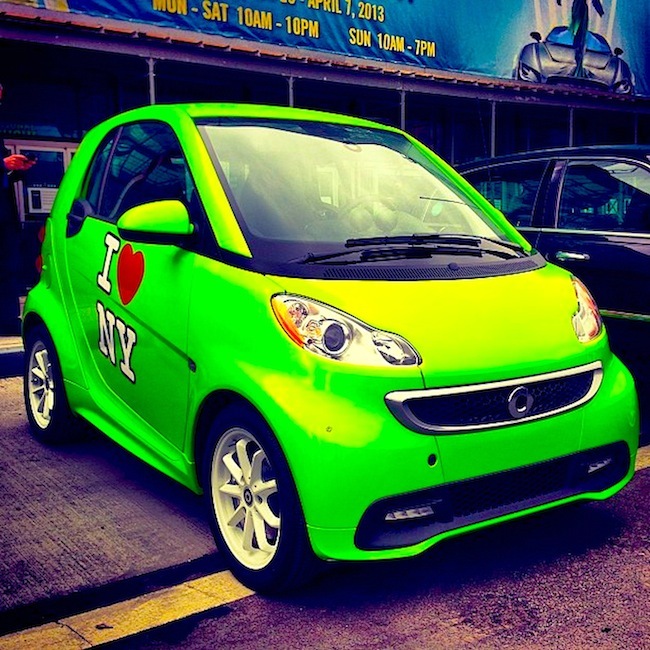 Only around 2,000 of the Smart EDs will hit Stateside at first. Presently, Smart is a bit slammed by European consumer demand, which is a great problem to have for an EV model. We think this is a brilliant move by Smart. When faced with less-than-ideal LEAF sales, it countered with a lower-end “S” entry-level model, hoping to spur purchases. We’d much rather see innovative programs like this than plain-Jane EVs from the competition.